You are a squirrel taking part in the yearly Rodent Racing Championship. Jump into your car, press on gas and try to come to the finish as fast as possible, having collected all tasty things and coins and overcome all the obstacles you will see on your way. Are you ready to accept this challenge and to pass it? 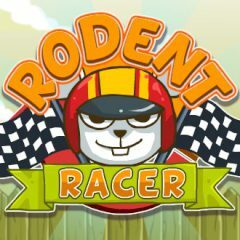 Rodents can be good racers too. And this squirrel will prove this! He is a professional racer and wants to show you something impressive. Jump behind the steering wheel of his car with him and show all your driving skills to overcome all obstacles and to get to the finish as quickly as possible in this amazing action game. Are you ready to test your abilities in this sport game which had been developed by a famous developer named Bored?